CatchmentSIM. Unrivalled in catchment mapping. 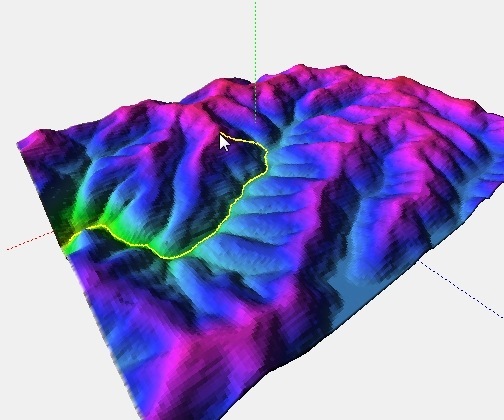 CatchmentSIM is a powerful software package for hydrologic analysis of terrain including mapping catchments, flowpaths and integration with hydrologic models. Create a DEM from a wide range of data sources. Remove flat and pits from the DEM using advanced filling and breaching algorithms. Map the drainage path for any point in the terrain. Automatically delineate stream networks complete with Horton ordering and full range of hydrologic attributes. Automatically breakup a catchment into a subcatchment network. Automatic calculation of subcatchment impervious proportions. Integrates with 12d to map drainage catchments for pits and other structures in urban environments. Use bathymetry and lake data to develop stage – area – volume relationships for reservoirs and lakes. Chart a wide range of hydrologic attributes of subcatchments. Visualise your project with 3D OpenGL graphics. Export to GoogleEarth for powerful presentations. Seamless integration with any external software via a macro language. Buit-in scripts allow creation of files compatible with a wide range of software. CatchmentSIM pricing is based on which modules are required from Core, Macro and Rainfall Analyser. Prices in Australian Dollars, GST will be added for Australian customers. 25% discount applies to orders of 2 or more. CatchmentSIM is licensed by single and network USB dongles. Contact us for a formal quote. CatchmentSIM provides integration with eWater's music for automated setup of music models. More information on CatchmentSIM's music integration can be seen in our brochure, or by watching the video below. CatchmentSIM can be used to automate the identification of aquaplaning risk areas in 12d road design surfaces. 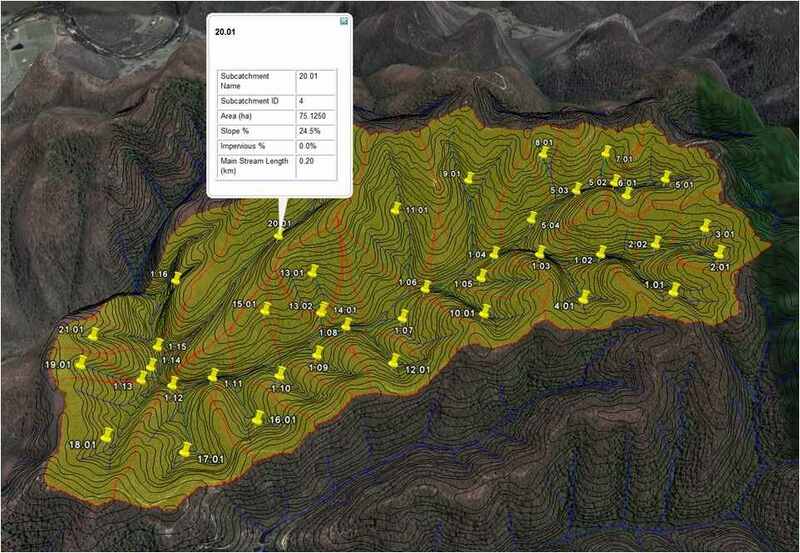 CatchmentSIM provides integration with 12d Model for fast and efficient mapping of catchments and flow paths over 12d Model TINs or Super TINs. 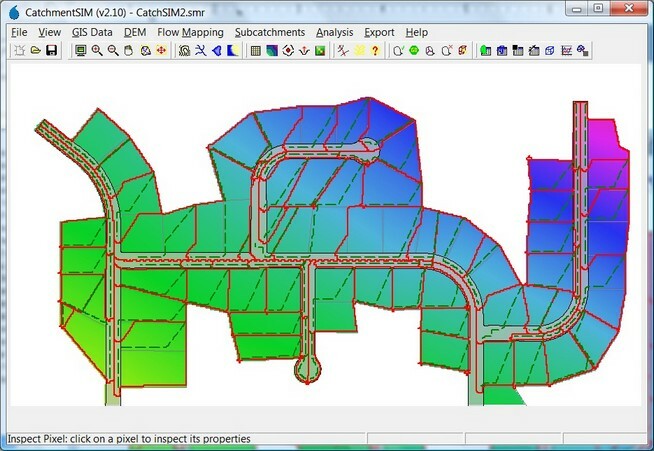 It can be used to automate the mapping of drainage pit/inlet catchments as well as flow paths and can also model fence lines and other flow obstructions. View our detailed documentation on 12d Urban Drainage, or watch the following videos. Download the 12d - CatchmentSIM macro from here. CatchmentSIM is widely used throughout the Australian water industry including the following organisations. Registered users with current maintenance contracts should be able to download CatchmentSIM from the Help >> Check for New Version menu, or by logging in to http://licensing.csse.com.au. Other users should contact us for download access. New users can access trial software via http://licensing.csse.com.au. Free phone and email based technical support is also offered to all licensed users with valid maintenance agreements. Please contact us for a no obligation quote for CatchmentSIM. Get a free 30 day CatchmentSIM trial. Our staff are here to help. Contact us for a demo project with your own data. View our comprehensive online documentation.